Observation - Invertebrate - UK and Ireland. Description: A small spider 8mm head to tail, whitish head. Waisted body. 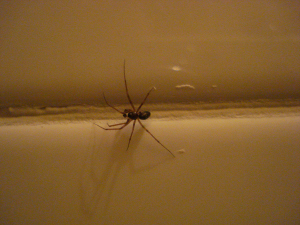 A small spider 8mm head to tail, whitish head. Waisted body.